This week is the opening of the Joyce Elaine Grant Exhibition at Texas Woman's University. The exhibition raises money for scholarships in photography, and each year an artist is chosen to have a solo exhibition the following year. 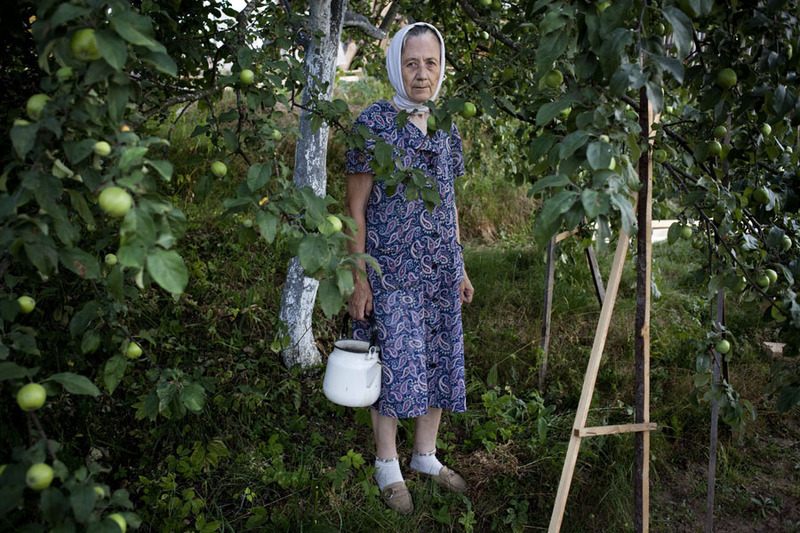 Last year, Nadia Sablin was chosen by Anne Lyden, Associate Curator at the Getty Museum. 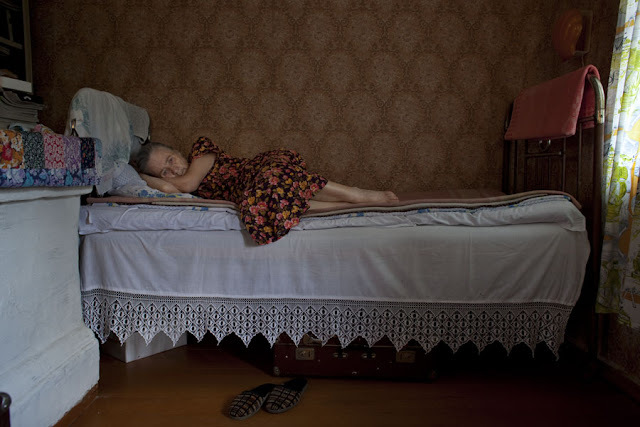 Nadia Sablin was born in the Soviet Union and spent her adolescence in the American Midwest. After completing an MFA degree at Arizona State University, she now lives and works in Brooklyn, NY and St. Petersburg, Russia. Her photographs have been shown at the Griffin Museum of Photography, Wall Space gallery, and Jen Beckman gallery, among others. 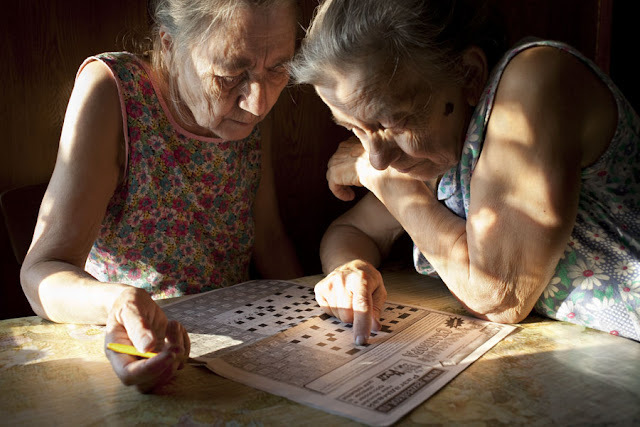 Ashley Kauschinger: How did your project, Alehovshchina: Two Sisters, begin and evolve? 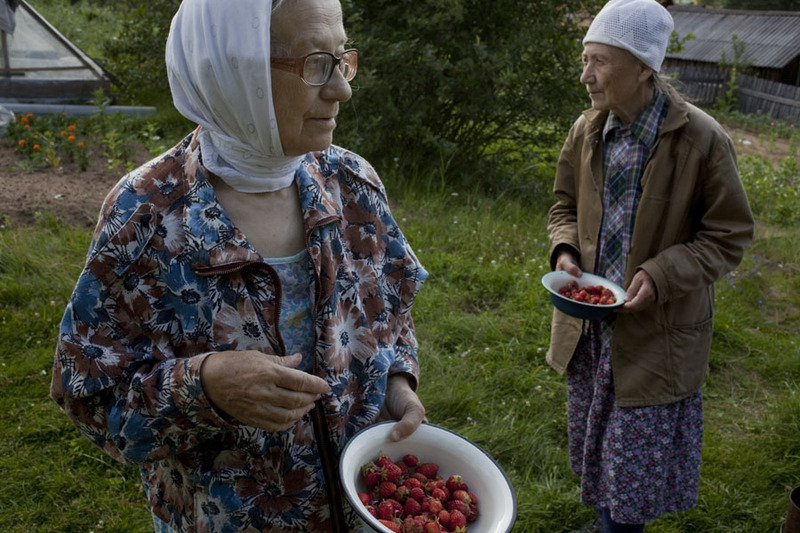 Nadia Sablin: I was hiking in the Carpathians in the summer of 2007 and found some shepherds’ huts deep in the mountains. The lighting in these huts was so magical, the people straight out of fairly tales. It reminded me of my childhood summers spent in the village with my grandfather and my aunts. I hadn’t been back in Russia since I left in the early ‘90’s and I decided I wanted to go back and see the house again. I had been looking for a specific type of place and lighting -- these mountain dwellings made me realize I had been looking for memories of my childhood. It took me a year to organize my documents and be able to return to Russia. I spent two weeks in the village during which I could not stop looking. It was a visual feast; everything was fascinating. I knew I had to come back. Every summer since, I’ve gone to visit my aunts, coming in different months to photograph different stages of growing fruits and vegetables, household activities, and weather conditions. As my aunties age, the project that started out in a place where time was stopped is now recording its passage. 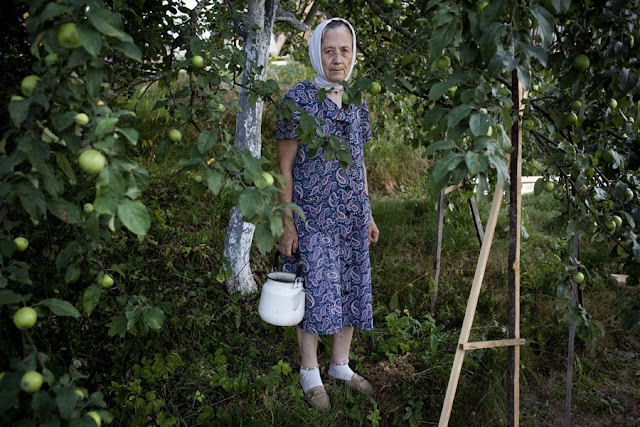 AK: What is your approach to the intimacy of photographing a long term project like this? Do you always have your camera with you or do you organize times for shooting? How do your aunts feel about sharing their everyday lives? NS: When in Russia, I always have my camera on me, even on a trip to the well or the herb garden. It’s a part of me and any interaction with me involves its presence. Very few of the shots of my aunties are staged, most are moments as they happen. I may ask them to turn a little so they are better lit, but mainly I just watch and photograph their everyday interactions. I don’t know if my aunties understand exactly why I’m so interested in their lives, but they accept me as I am and our interactions as they are. If they are feeling poorly or don’t want me to photograph something specific, they ask me to stop. I always respect their requests and try not to be in the way. AK: What has creating this series taught you about yourself? NS: As a child I had little understanding or empathy for my aunts. They seemed cold and aloof, very different from my immediate family. Having never had children, they weren’t sure how to communicate with me. Since starting this project, I have come to understand them better and to love them. Hearing stories about their lives and watching the choreography of their daily movements has made me feel like a part of something ancient, a recorder of traditions and dreams. AK: You currently have a Solo Exhibition at Texas Woman's University in conjunction with the Joyce Elaine Grant Exhibition. Can you talk a bit about putting together a solo show, and what advice would you give to other photographers with this process? 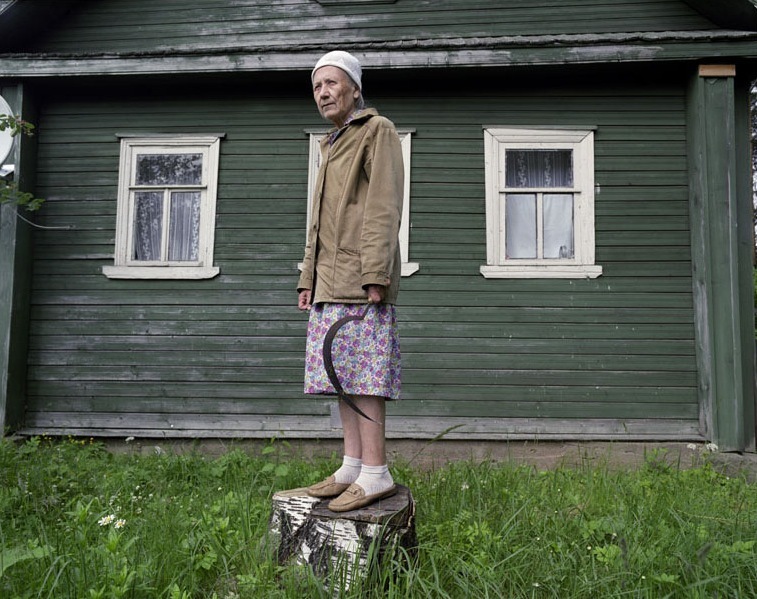 NS: I have now been photographing my aunts for five years. Various edits of the series have been published and some of the photographs have been in group shows. This is the first solo exhibit of Two Sisters. I think editing is the most challenging aspect of putting together a successful show. Sometimes your favourite images have to be cut in order to create a more cohesive whole. Especially with such a personal project, it’s difficult to reject photographs that make you smile or invoke a memory. Physically putting together a show requires time, meticulousness and patience. One has to allow for things to go wrong and have the resources to correct them.